We don’t really have any special update for the occasion this year, but in case anyone didn’t see it yet, there is still a matching seasonal quest hidden in CrossCode! The NPC Contest has ended over a week ago and we got a total of exactly 100 entries! What a neat number! And there are quite a lot of great dialogs among them, too. Now we actually will need a bit more time to determine the winners, since we won’t simply draw them randomly, but need to review all the dialogs (by several team members) to find the Top 5 and Top 20 of all submissions. Given that many team member will be busy over the holidays this will likely take a bit longer. We’ll make sure to announce the results at the beginning of next year! Yes, we’re still working on CrossCode though admittedly work has been going somewhat slower as we got closer to the holidays. However, we plan to pick up the pace again next year and we’ll start with another update in mid to end January that will feature a couple new quests including the finale of the A Promise is a Promise quest line! After that, we’ll finally focus on the arena and the long promised New Game+ mode. This article was posted in CrossCode. Bookmark the permalink. 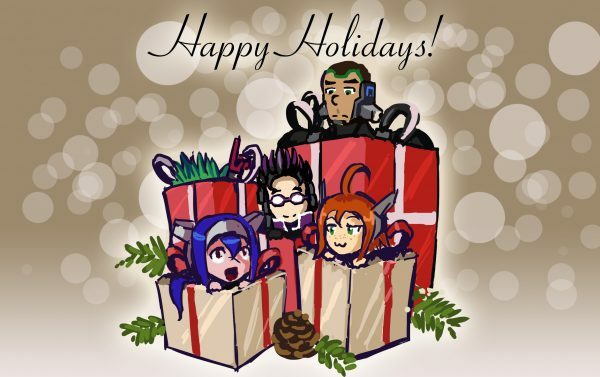 Happy Holidays for you too guys! 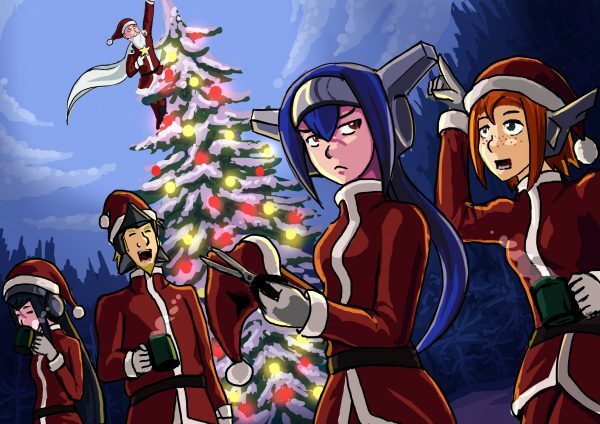 Merry Xmus my CrossCode pals! Love the game, can’t wait for more updates! Happy Holidays! Let’s hope you can finally rest a little this holidays, all the team deserves it!! Cheers, guys! And congrats on winning the Best Indie Game award! It’s still not too late to say that, right? When are we going to hear about the PS4 version? Will it have a physical release? A Happy and prosperous Happy New Year to all of you.